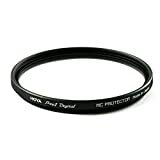 Hoya XD77PROTEC Hoya 77MM DMC PRO1 Clear Digital Protector. This entry was posted in Discount Photography and tagged 77mm, Digital, Filter, Hoya, Pro1, Protector by Ball Photo. Bookmark the permalink.